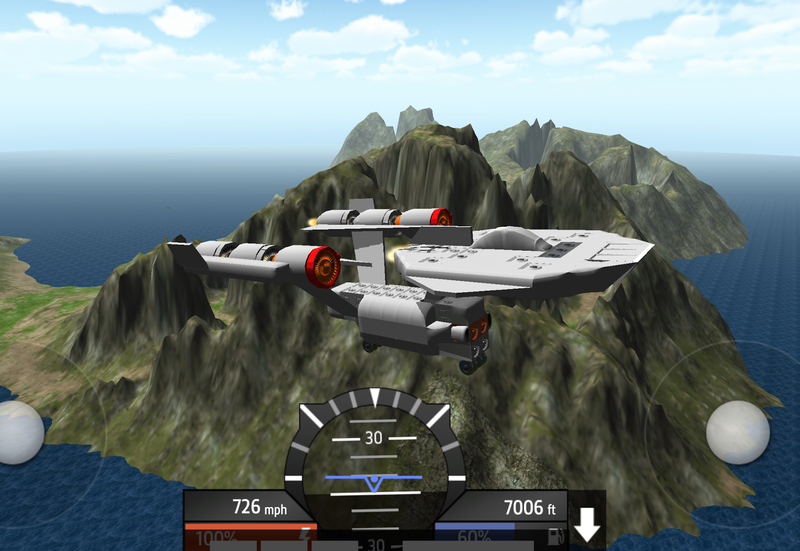 That is a flyable Enterprise in the game "SimplePlanes", in which you can build your own aircraft and fly them. The place was lousy with X-wings and Vipers and such. Alas, someone beat me to being the first Enterprise by 16 hours but mine is actually good-ish. Other than the TMP-era nacelle struts she keeps as much to the TOS style as possible given available materials. Even the three air intakes up front are meant to echo the three round windows, and the nacelles have the little spikes from certain angles. I considered doing a Falcon first thinking a saucer would be easier but the drag and weight offset of her asymmetric design seemed troublesome to overcome in my initial forays. (I should've done a TIE, come to think of it.) I also did a "Primitive Romulan Warbird" before that when I realized a biplane I was making kinda reminded me of one, but that could be a lot better aesthetically. I am not a big gamer by any means, but I am rather fond of this publisher's stuff. I have mentioned the previous game SimpleRockets in regards to the silly lightspeed claim regarding "Jedi Crash", considering it as an easy way for someone to get a sense of how velocity affects direction in gravity field navigation. This reference has no such scientific utility ... I am just enjoying the fact I got that thing airborne. If you try it out, please rate it so others can find it more easily. Thanks! "No one ever complained about where the power source for Yoda's invisible winch is on Dagobah, or where under his robes Sidious hides his "lightning battery.""